Discoveries that make a difference. Through educational programs for patients, caregivers, and healthcare professionals, the OMRF Multiple Sclerosis Center is focused on helping improve the quality of life for MS patients and the family members who help care for them. 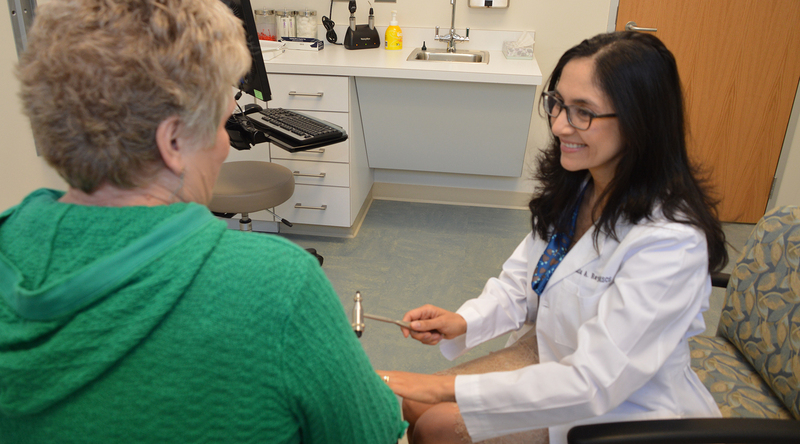 With a dedicated MS clinical coordinator and a team of experienced health providers, we offer a variety of educational support services to patients and families. To assist rural and local physicians in coordinating patient care, the Center maintains a comprehensive central MS database. We also provide a series of continuing medical education courses to give physicians, physican assistants, physical therapists, and nurses the knowledge they need to deliver specialized MS care. These multi-tiered educational programs help patients and those who care for them better understand, manage, and take control of disease.